I recently reconnected with an acquaintance of mine I hadn’t seen for ages. He’s a good dude – intelligent without the part where some people get cocky/obnoxious, confident, great company for a couple of beers. How does this relate to the best barber aprons, of all things? You see, above all, he’s pretty fashion-conscious. Especially when it comes to hairstyling, rocking the latest trends etc. Given the fact I did some barbering in what seems like another lifetime, at one point our conversation touched on barber aprons, too. I didn’t quite catch his drift, so I asked what he meant by this. Somehow I wasn’t surprised he noticed this. Most people only focus on the style they “receive” upon going to a barbershop. Others, like him, also take an outward look towards the pros themselves. What is their style? 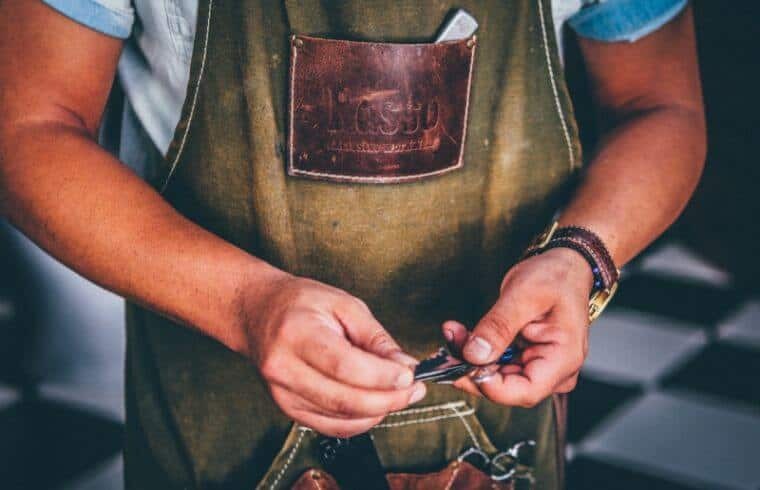 What barber apron should people be wearing? You know…can’t argue with him. Barbering has experienced a Renaissance over the past few years and it’s gotten “upgraded”. 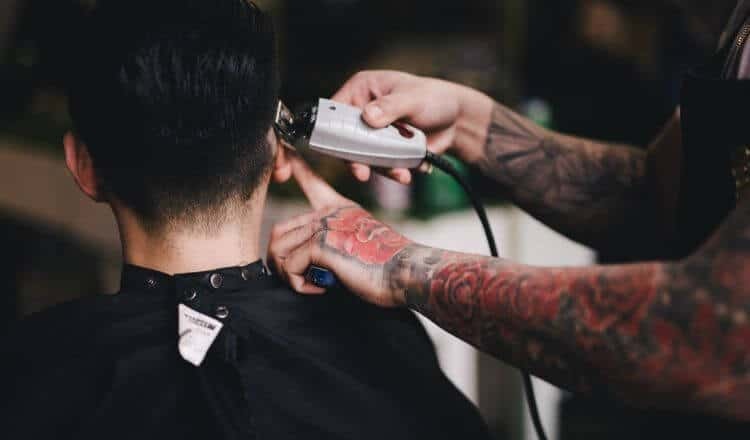 Men have grown increasingly concerned about their grooming habits and look for quality services so they get quality results. Barber schools are full and barbershops open to accommodate the rising demand. You got demand – you’ve gotta meet the trend. Being a barber has always been a mix between a profession and an art. And right now, there’s also the element of fashion – with barber aprons or vests playing somewhat of an important role. 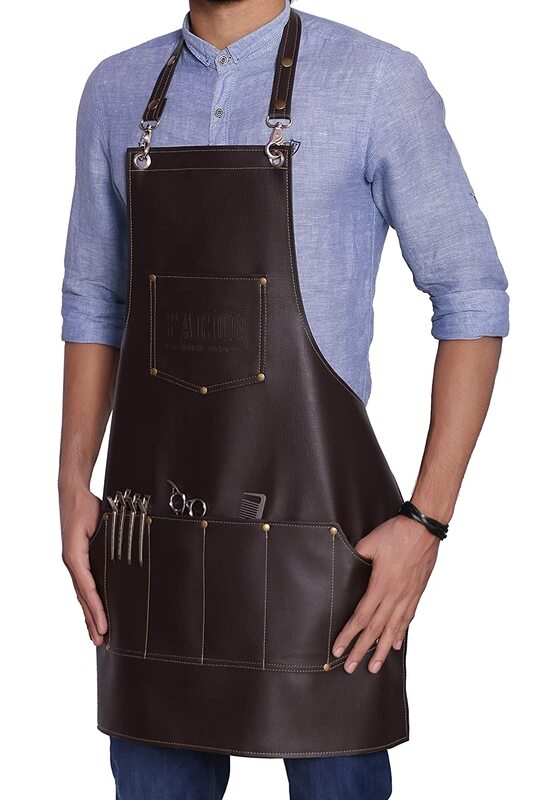 The barber apron: fashion or utility at this point? Every industry has its cliches and in fact, I think the image presented above is a cool one anyways. However, I also feel that it’s easy to go overboard nowadays due to exactly this fashionable element. You see people grabbing loads of clippers just to show them off, not because they need them. The truth is, you don’t need that many tools to start your career and learn the ropes. Instead of grabbing a detachable clipper, adjustable cutter and a T-blade trimmer, a lot of beginners create whole collections. Sometimes it’s like the focus lies on having the tools – but not mastering them. I’ve seen something similar with hairdresser aprons. Heavy-duty, seemingly expensive and genuine leather barber vests…when your barbershop doesn’t even serve that many customers. Jeez, my ramblings might have sounded pretty bitter/critical. Don’t get me wrong, guys and girls! In bustling barbershops, you won’t survive without a vest to accommodate scissors, combs and all the myriad of stuff you need around. And come on, let’s be straight – some of these look kickass. Especially the custom-made, high-end salon aprons. Even some of the medium-range barber jackets can be clean and stylish at the same time.